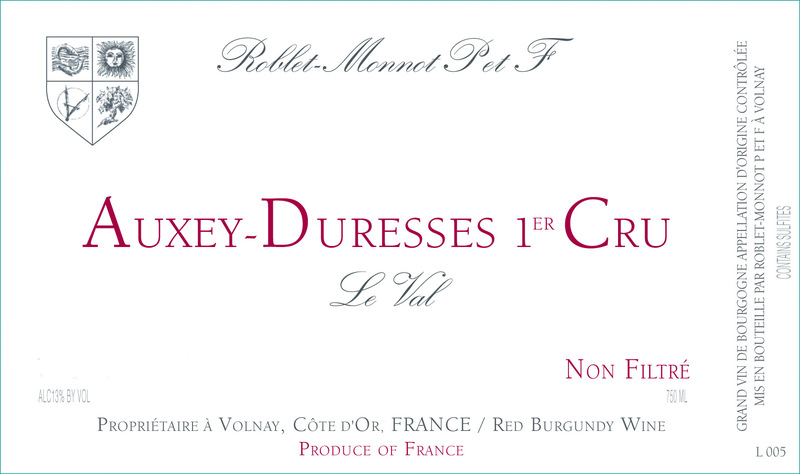 Pascal Roblet can trace his roots in Volnay to the 1600’s on his mother’s side and four generations on his father’s side. 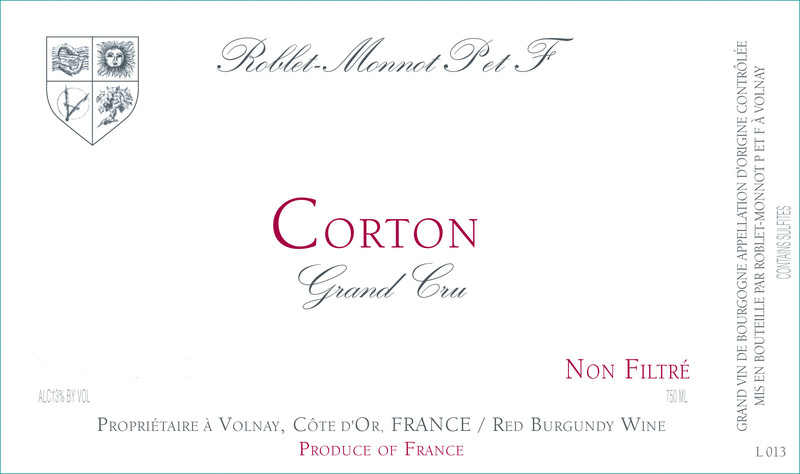 All of Domaine Roblet-Monnot’s holdings are in Volnay, 6 hectares. 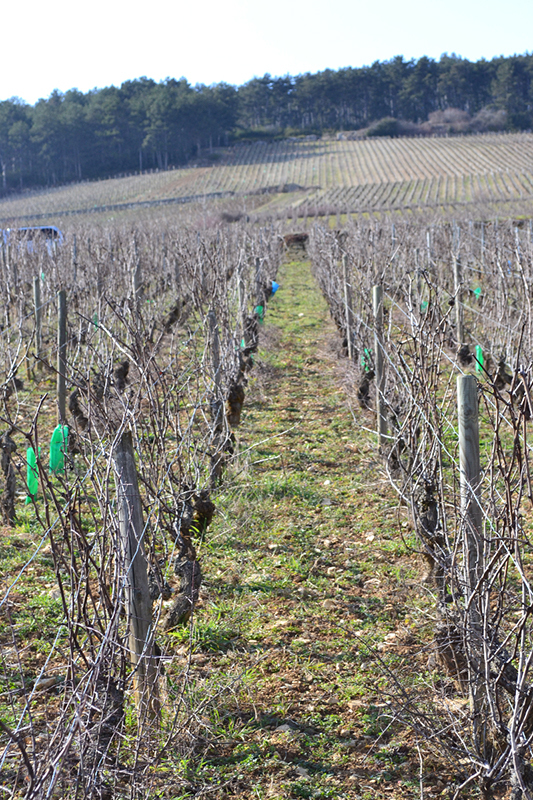 Pascal’s conversion to biodynamic viticulture in 1997 along with his high density planting, 12,000 vines per hectare and very low yields, 30-35 hectoliters per hectare, are part of what has transformed his domaine into one of the leading sources of wine from these communes. 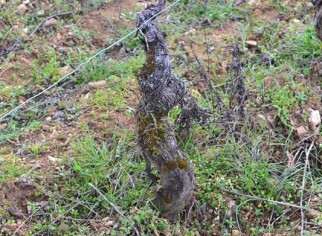 Volnay has enjoyed fame far longer than most of the communes in Burgundy. 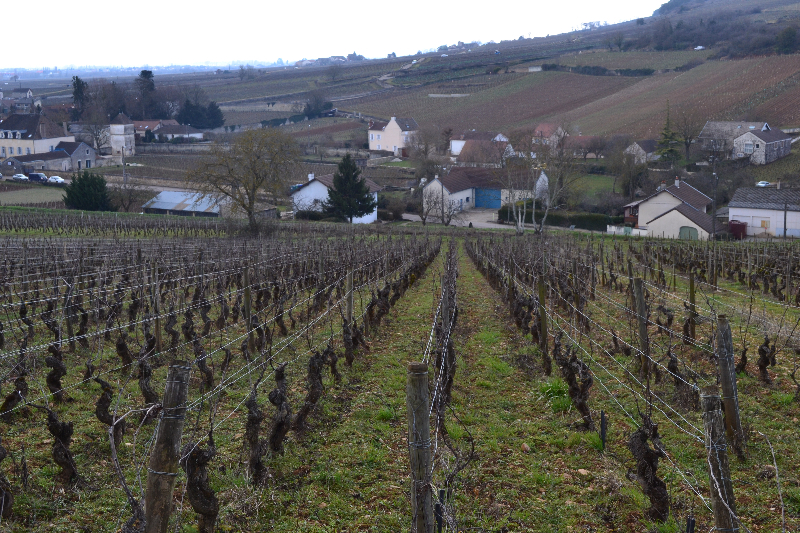 In the 1300’s it was the most famous wine of Burgundy thanks to the Knights of Malta, vineyard owners since 1207. In kingly fashion, Louis XI added the entire vintage of 1447 to his personal cellar leaving none for the less worthy. 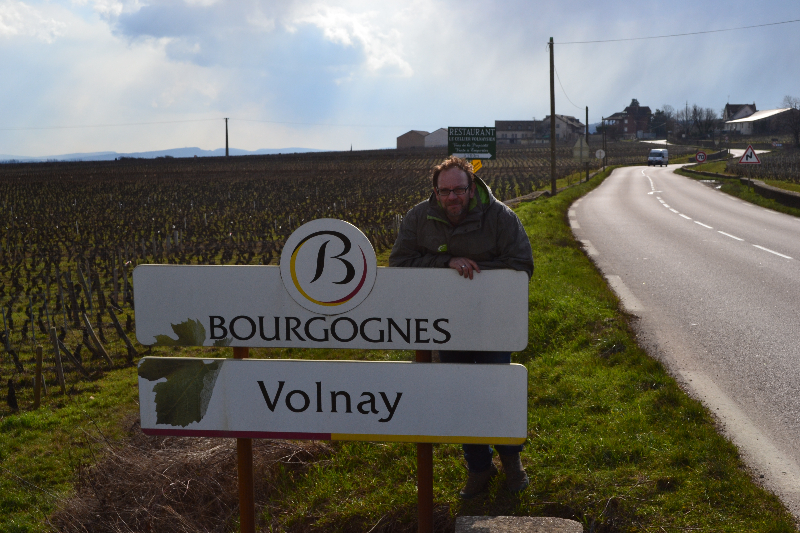 Due to its history of renown there are more descriptions of ancient Volnay than almost any other Burgundy. 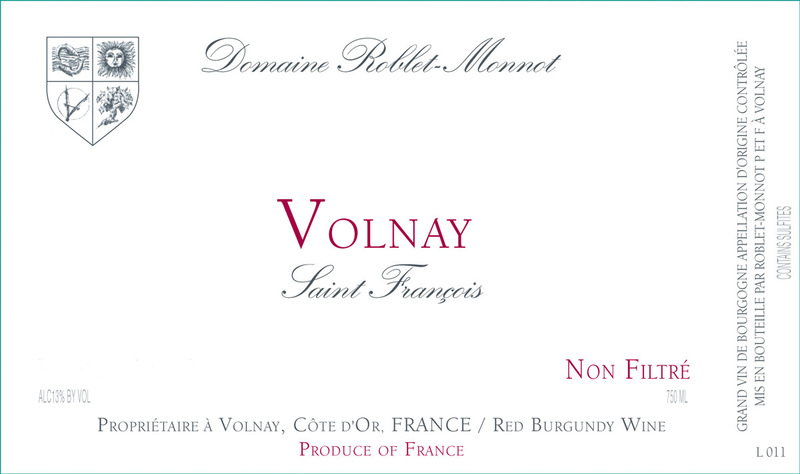 Perfume and finesse are the hallmarks of Volnay wines displaying Pinot Noir in its most seductive manner. 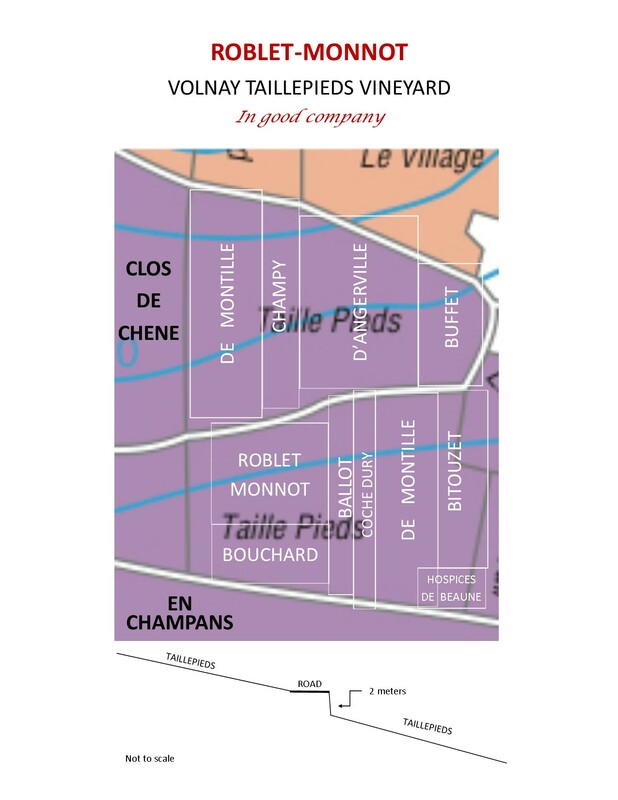 Pascal Roblet may not be able to trace his roots in Volnay to the 1300’s but four generations on his father’s side and back to the 1600’s on his mother’s side seems pretty far back to most of us. 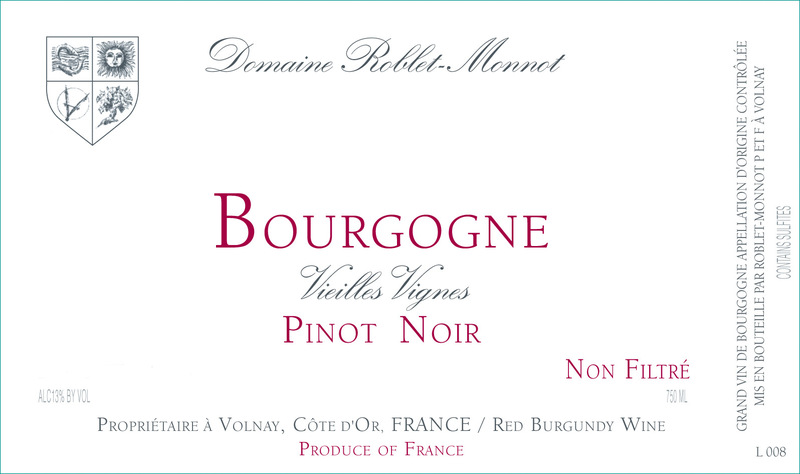 It was in 1865 that Victor Delagrange, Pascal’s great-grandfather on his mother’s side, created the domaine. Victor handed the reigns over to his son-in-law Henri Monnot (Pascal’s grandfather) in 1926. 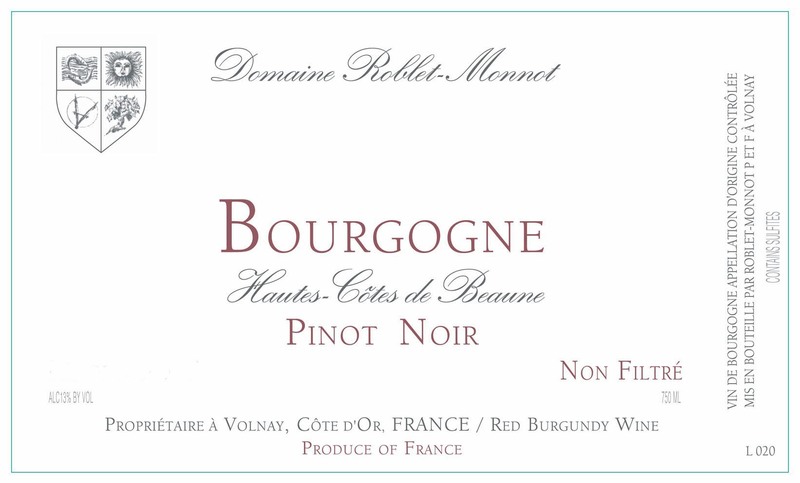 Henri managed the domaine by himself until 1973 and then with his son François (Pascal’s father) until 1989. It all sounds rather biblical, doesn’t it? 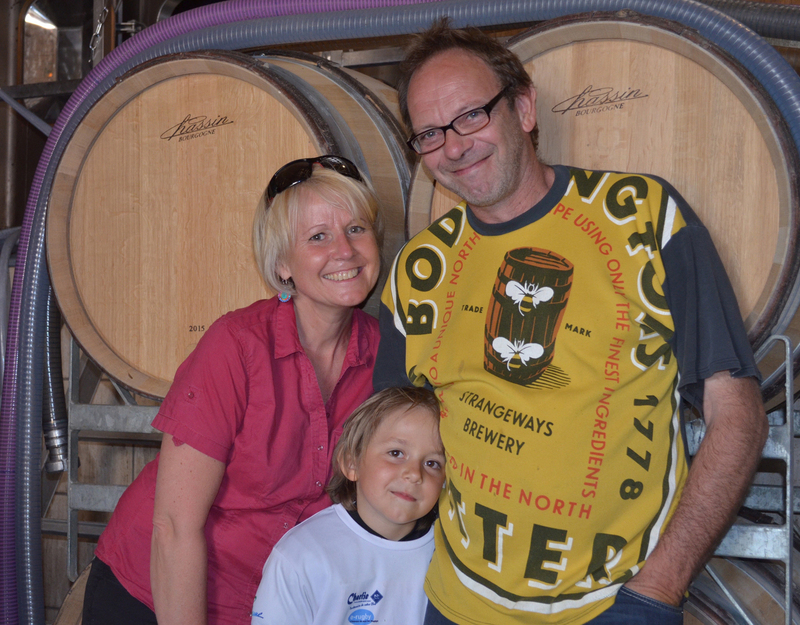 Ownership of the domaine is currently divided between Pascal’s mother and her sisters. When Pascal’s father retired in 1989 it opened the door for Pascal. 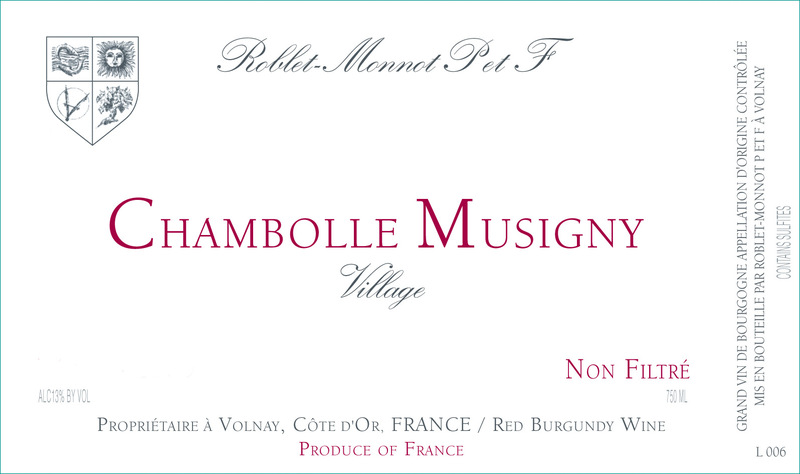 In 1990 Pascal took over the family domaine and renamed it Domaine Roblet-Monnot. 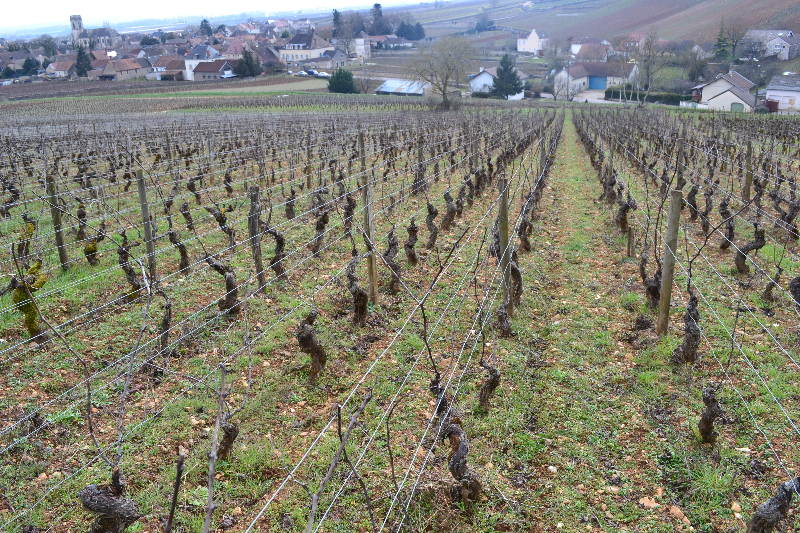 As one of the earlier pioneers of bio-dynamic practices in Burgundy, Pascal goes to the extent of using horses to plow his vineyards to reduce the compaction of the soil that a tractor would cause. 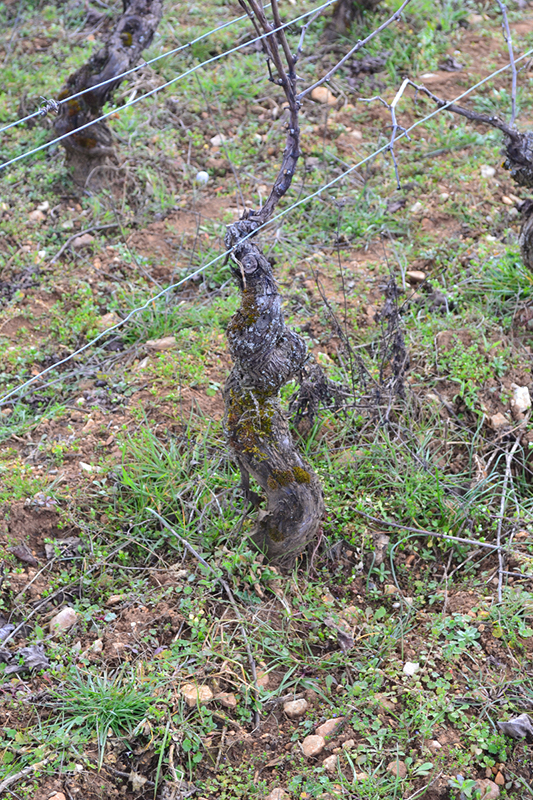 In his Volnay Taillepieds vineyard he refrains from “rogner” (clipping of foliage) to avoid stress on the vine and increase the vine’s foliage. 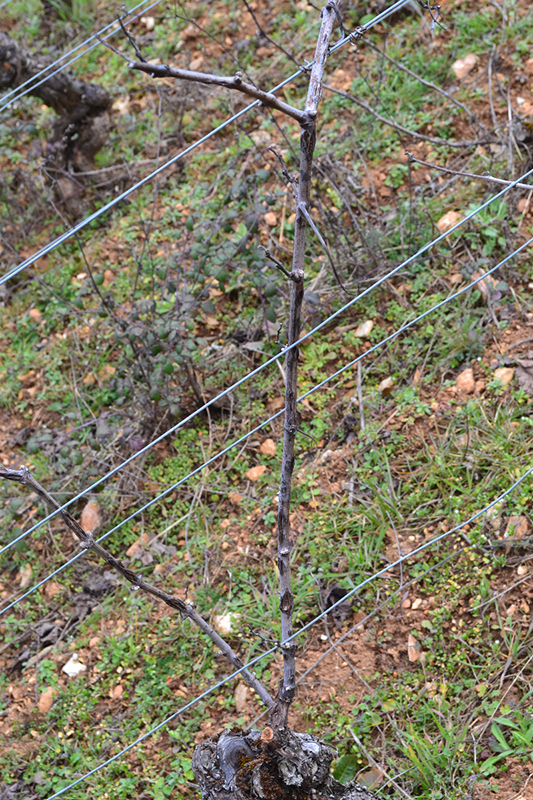 In vintages with uneven ripening of the rows of vines, Pascal will select only the grapes at their optimum ripeness and return again and again to the vineyard for selection. Sorting of grapes begins in the vineyard for Pascal. He believes pristine grapes should never come in contact with their rotten or moldy brethren. 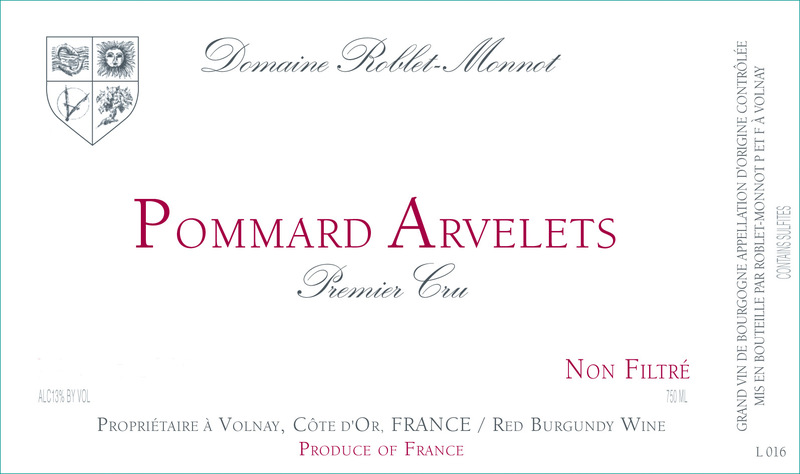 In addition, at the door of the cellar is a vibrating sorting table to cull out any leaves or twigs, or grapes deemed unworthy of being part of a Roblet-Monnot wine. 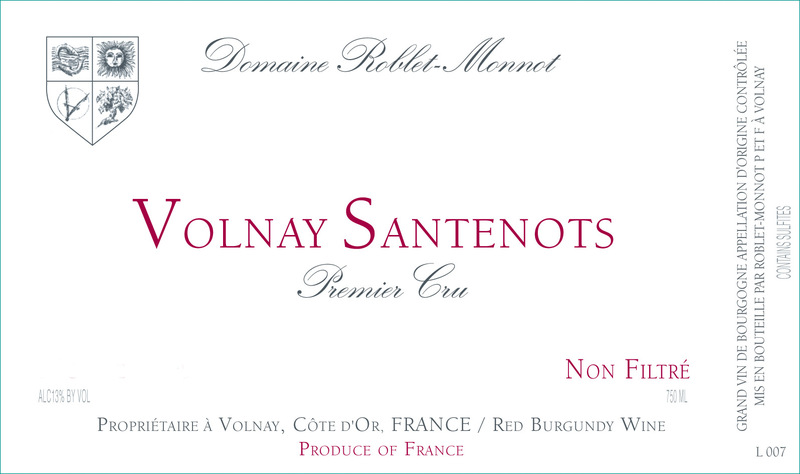 All of Domaine Roblet-Monnot’s holdings are in Volnay, 6 hectares. Pascal’s conversion to biodynamic viticulture in 1997 along with his high density planting, 12,000 vines per hectare, and very low yields, 30-35 hectoliters per hectare, are part of what has transformed his domaine into one of the leading sources of wine from these communes. 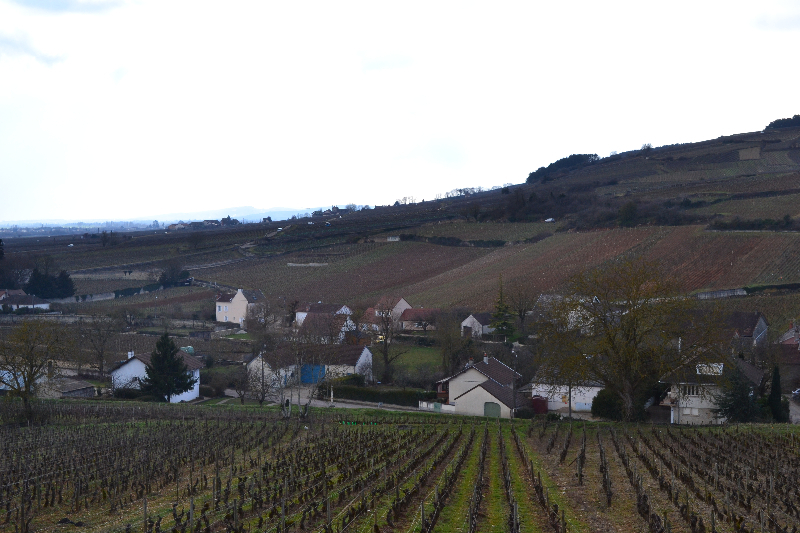 The heart of his production lies in Volnay where Pascal produces one village and five premier cru cuvees. 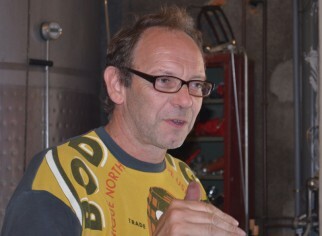 His Bourgogne Rouge comes entirely from Volany. 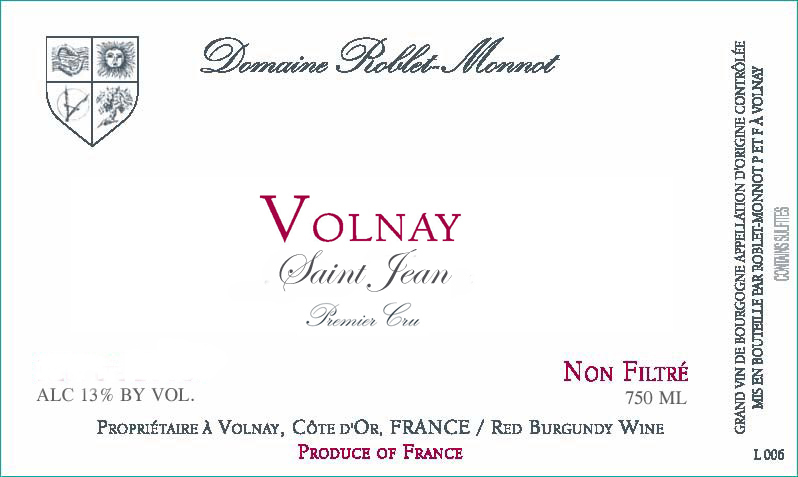 The St. François bottling is a blend of several vineyards in Volnay, some of which are premier cru. 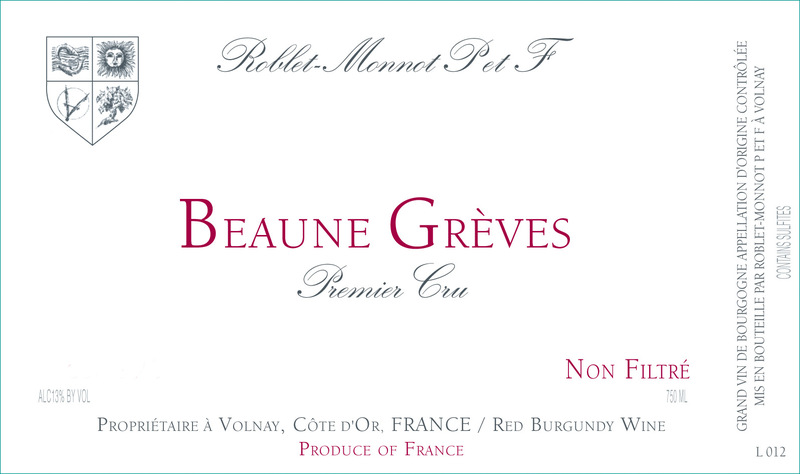 Rich and dense on the palate, this wine offers tremendous value. 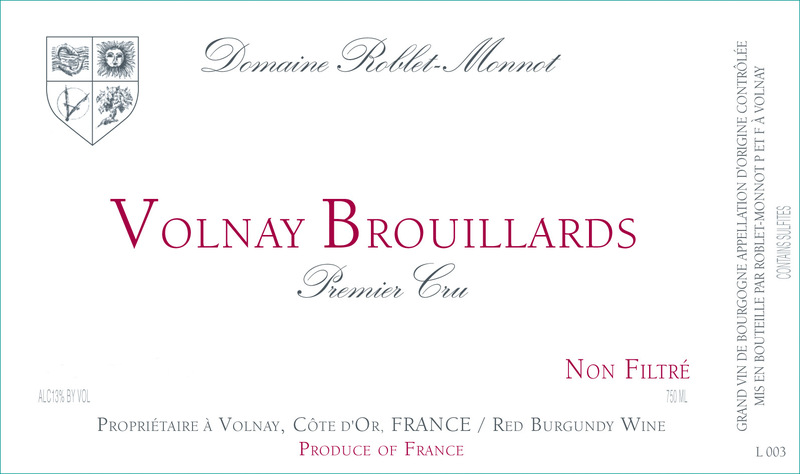 Brouillards sits on the Pommard border, which is reflected in the wine’s full, powerful structure. 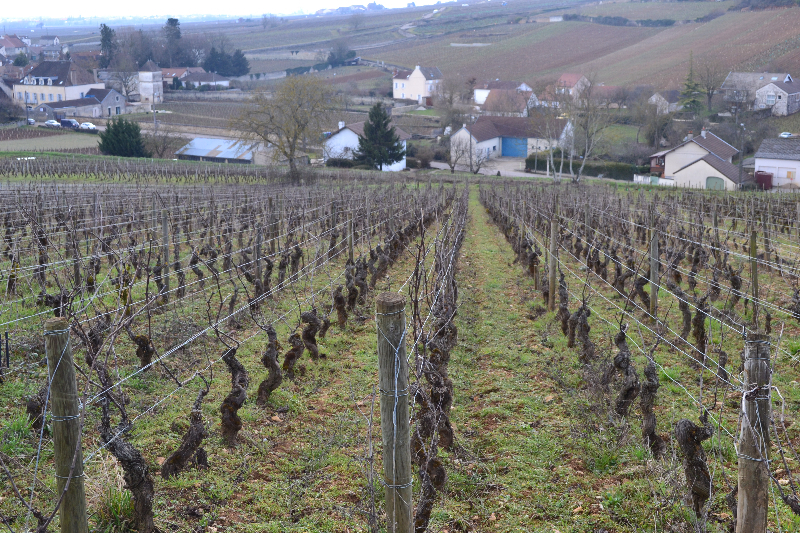 Santenots, which is actually located in Meursault, produces a rich, round wine with long aging potential. 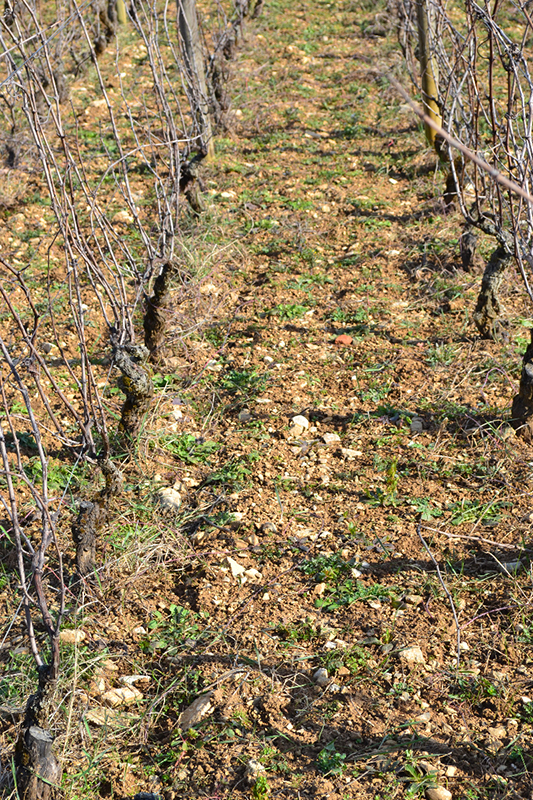 The domaine’s top Volnay is produced from the Taillepieds vineyard, which lies in the best section of the village. 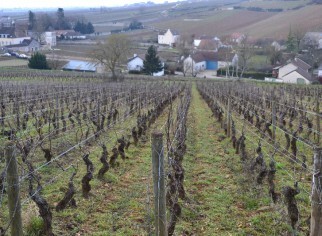 Pascal’s plot of Taillepieds is the heart (center) of the vineyard. 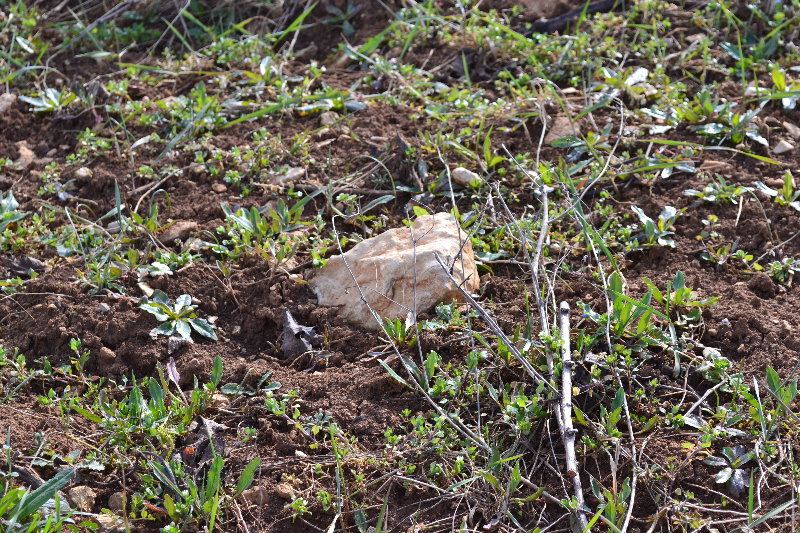 The top soil known as “tete de moine” is a mere 50cm deep with large stones. 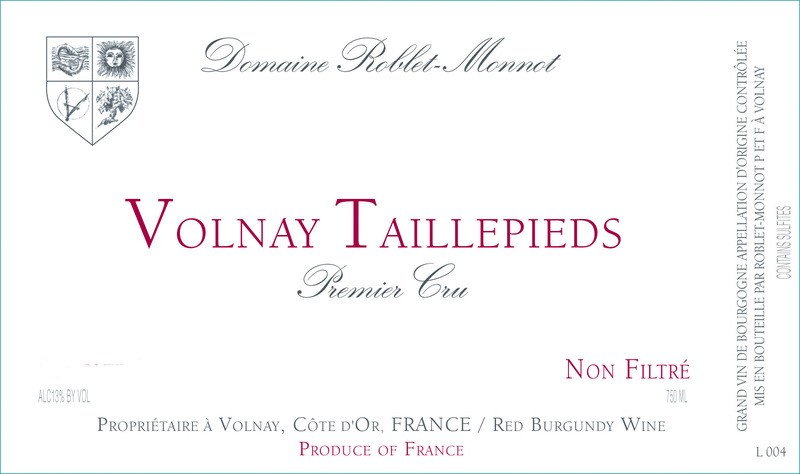 Deep, rich and very complex, Roblet-Monnot’s bottling of Taillepieds is a stunning example of Volnay. Pascal lives in the town of Volnay. 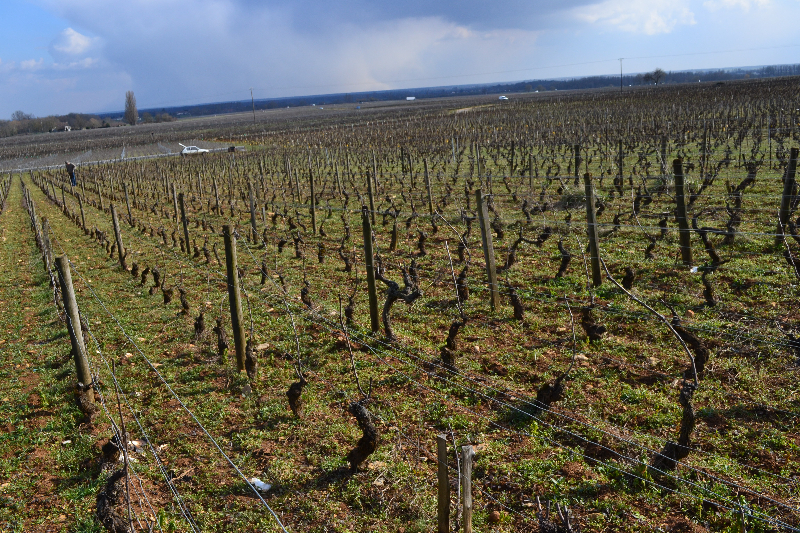 His small rustic cellar is ten minutes away in the tiny hamlet of Bligny-les-Beaune.